If you're waiting to buy the Samsung Galaxy S III on Verizon, you'll have to wait a few more days. Verizon has silently moved the phone's launch date from July 10 to July 12, which is this Thursday. Verizon didn't give any reason for the delay, and it appears the postponement only affects the in-store launch. According to Engadget, preorders are still being fulfilled, and some of the blog's readers have reportedly already received the device. What may have happened is that the number of preorders was larger than Samsung anticipated, and stock intended for delivery to Verizon's retail locations was redirected to fulfill preorders. Without the carrier's confirmation, we just don't know. 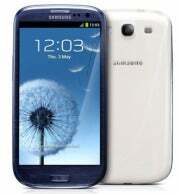 Samsung is expecting to sell more than 10 million Galaxy S IIIs this month alone, and some analysts see it as the iPhone's chief competitor on the Android platform. The Galaxy S III's specs are certainly impressive, and include a 4.8-inch super-AMOLED display, quad-core processor, 8-megapixel camera, LTE support, and Android 4.0 (Ice Cream Sandwich). The Samsung Galaxy S III will be available from Verizon, AT&T, Sprint, and T-Mobile. On Verizon, AT&T, and Sprint, the phone costs $200 for the 16GB version and $250 for the 32GB model. On T-Mobile the phone is much more expensive: $270 for the 16GB version and $330 for the 32GB version. All prices are with a two-year contract. The other carriers made the phone available over the past week.